The United States is one of the most powerful countries in the world, with countless opportunities to succeed and prosper. Foreign diplomats from various countries have spent many years visiting its culture, which is often drastically different from their own. They are uniquely qualified to offer advice on moving to the Untied States, working at the highest and lowest levels of society. Collected below is some advice and knowledge based on the experiences of these foreigners who ventured over land and sea to work with and in the United States of America. While many countries’ climate features citizens that do not appreciate the life of a foreigner or wish for newcomers to quickly assimilate and abandon their past, this is not the case in the United States. America is truly a “melting pot” and welcome expats of all kinds. There are often entire communities (especially in large cities) similar to your own that will live life similar to life in your home country and will welcome you eagerly. Most citizens are at rest with the fact that different lifestyles are abundant in the States. These types of long distance relocations are very difficult and trying on the people involves, so it’s OK to maintain a sense of home wherever you end up. Even if you’re only staying for few years and don’t plan to stay in the USA for the rest of your life, you should do your best to interact with your local, state, and national community through activities as simple as sporting events and more complex such as learning English. While many services are available in multiple languages, learning English and also knowing a native tongue will allow you to have the best of both worlds and will open job opportunities that require a bilingual or trilingual applicant to fill the position. Being an active member of the community also helps to create a support network and introduces new friends as you will be in an entirely different country and may be lonely at first. 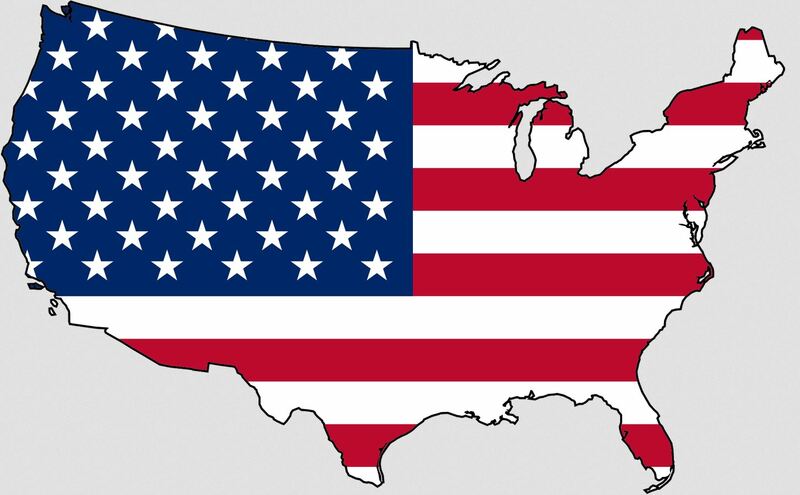 Because the United States is so large, there are a variety of ecosystems and climates. Life in the south (Georgia, Alabama, etc) is radically different from life in the Northeast (Washington, Oregon, Northern California, etc). Costal areas are usually more liberal than inland cities, while the Midwest is traditionally conservative and the South is known for being very religious. Certain areas have a cheaper gas while others are known for having a variety of fresh foods through all seasons. Make sure to research where you are going ahead of time to get a feel for what will be available to you and what the weather is like year round. There is a saying that goes “never discuss religion or politics in polite company”. These two issues tend to be very hot-button no matter where you are in the states but generally do not cause problems when people avoid talking about them in spaces where it has not been agreed that they are acceptable topics of conversation. While a college campus may welcome these discussions, a neighborhood block party doesn’t want to hear it and you’ll only end up offending someone who disagrees. Especially after the divisive 2016 electoral race, most people don’t want to think about what is happening in Washington. America prides itself on being the land of the free. While there is still progress to make in areas such as police violence, racism, sexism, and more, for the most part America is moving in the right direction. You should generally feel very safe about expressing yourself and your identity, no matter what it look likes. Do not be afraid to speak up for those you feel are not being heard, or ally with causes that are close to you. Doing these things will give you a bigger role and a greater purpose in your own life. The paperwork alone is an uphill battle if you’re trying to make the move to the United States. But once you succeed, life away from home can be an amazing adventure and experience. Despite cultural differences, any diplomat could tell you that America is welcoming to newcomers and that it will soon feel like a second home.